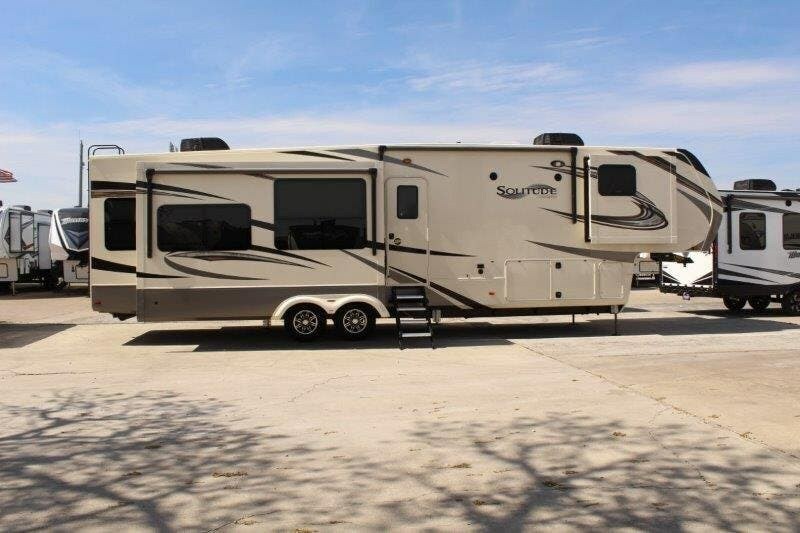 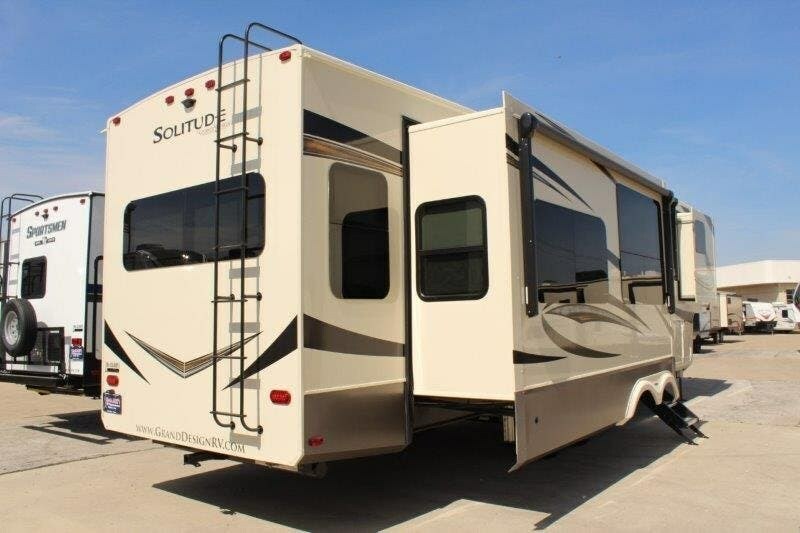 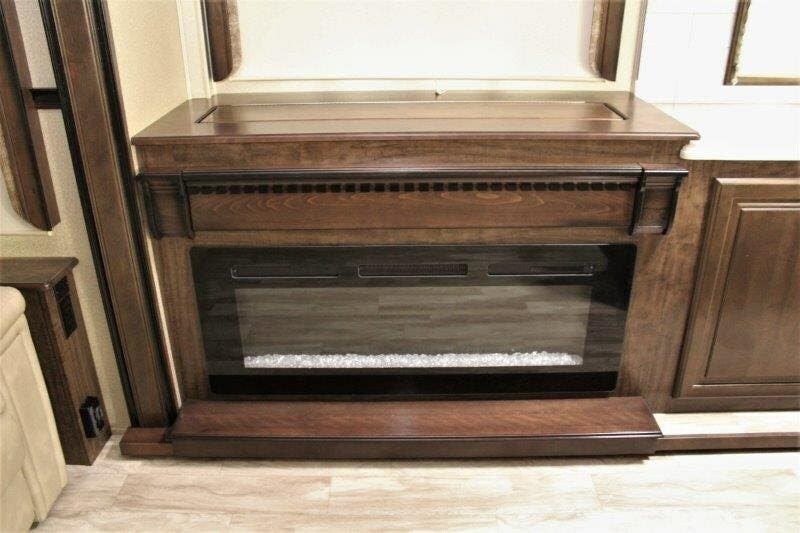 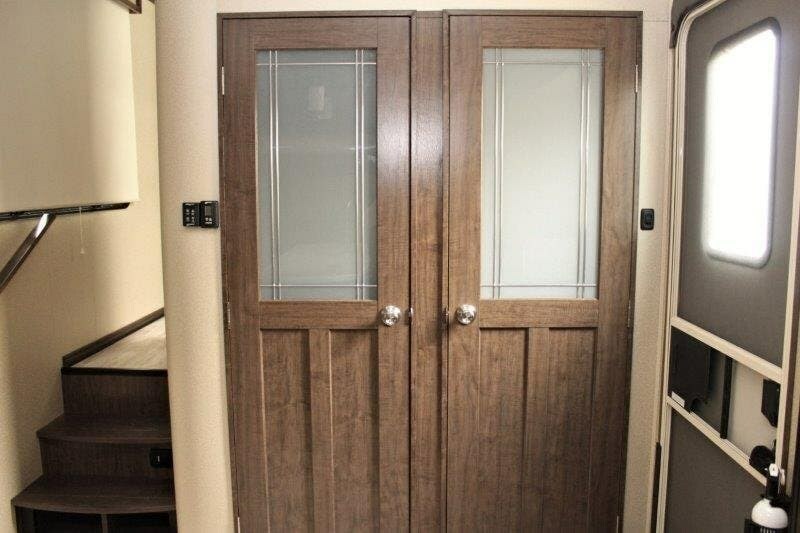 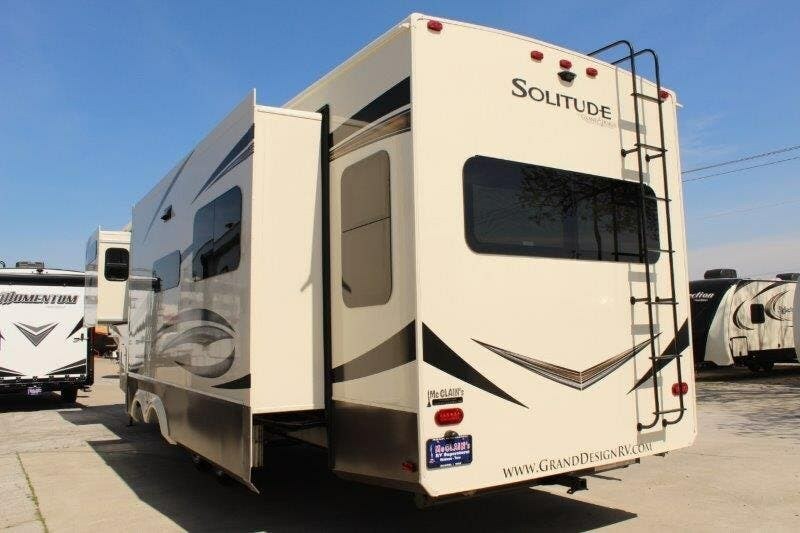 Fall in love with this Solitude 385GK-R by Grand Design! 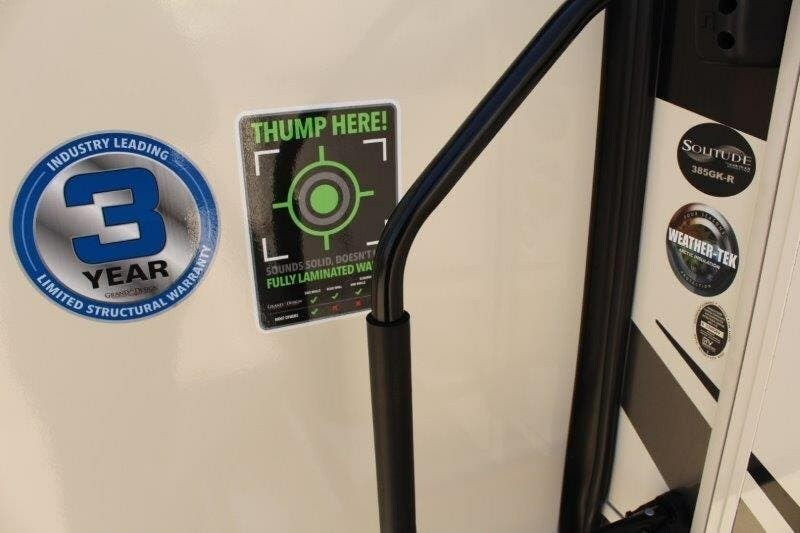 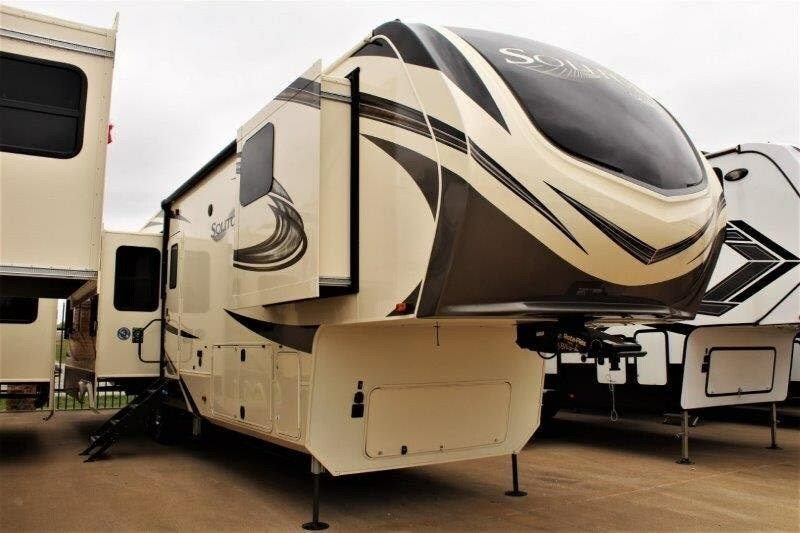 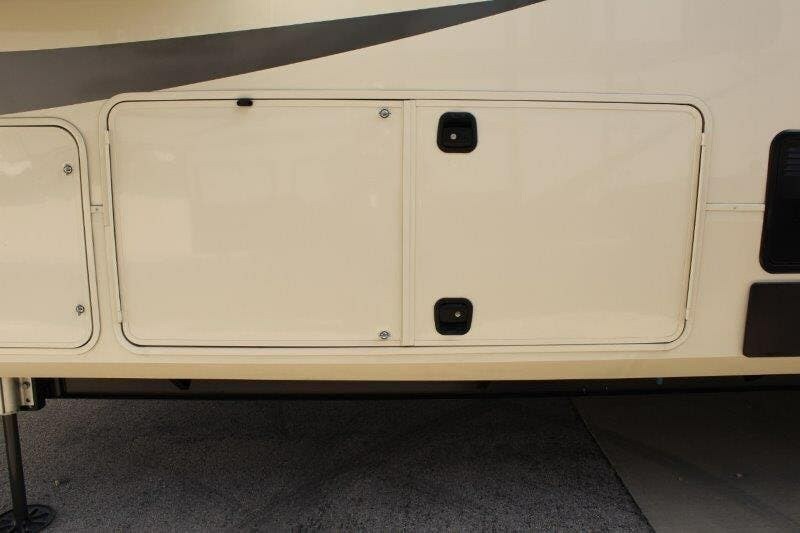 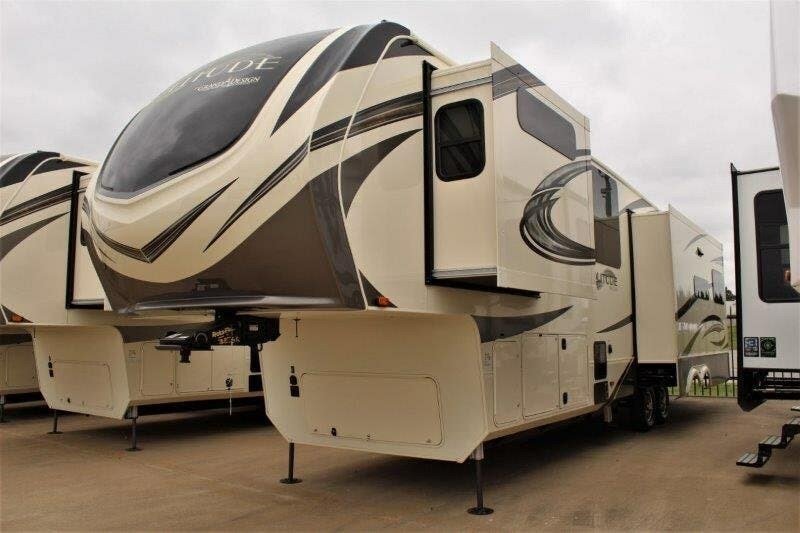 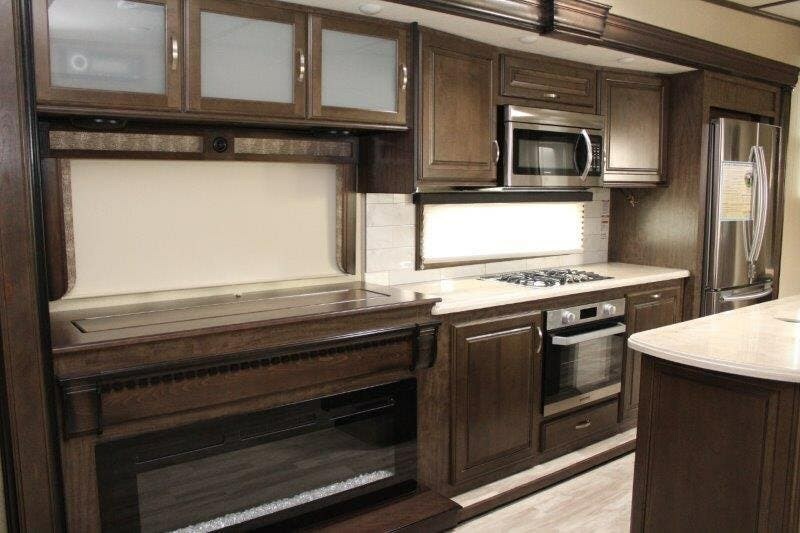 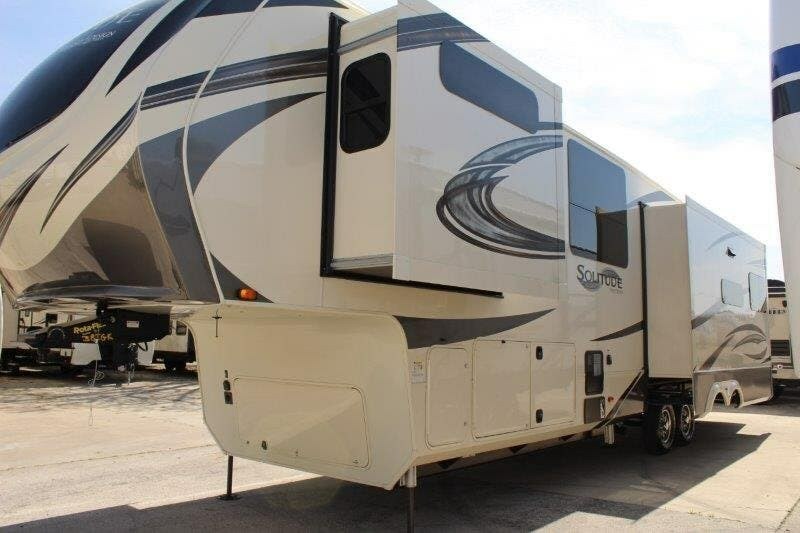 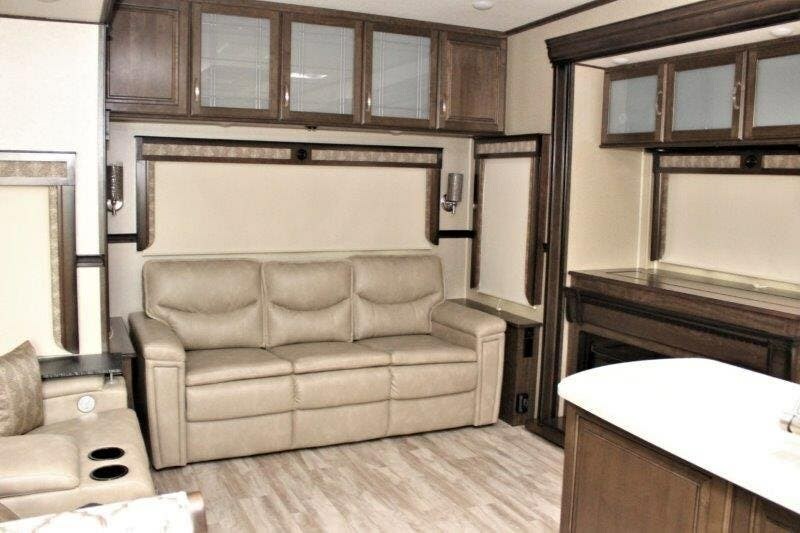 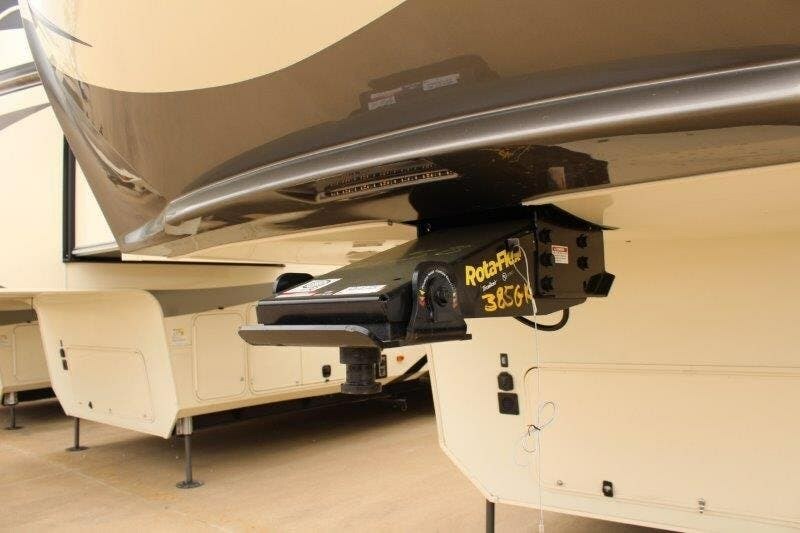 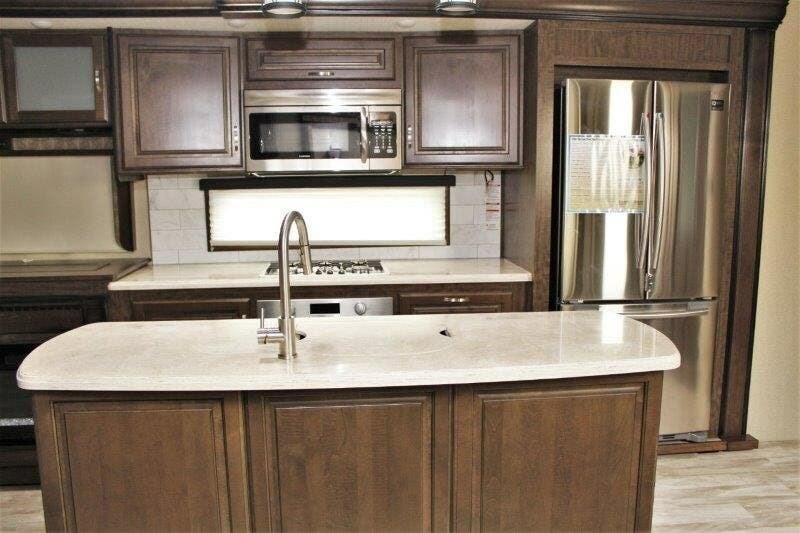 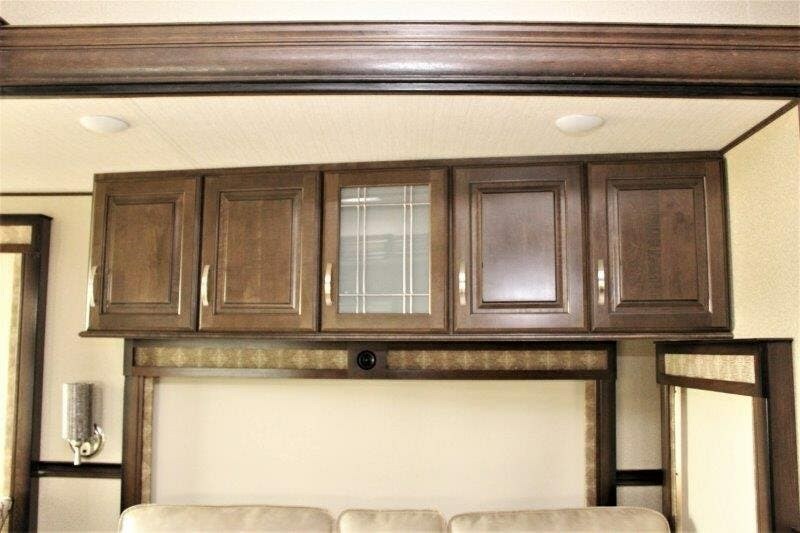 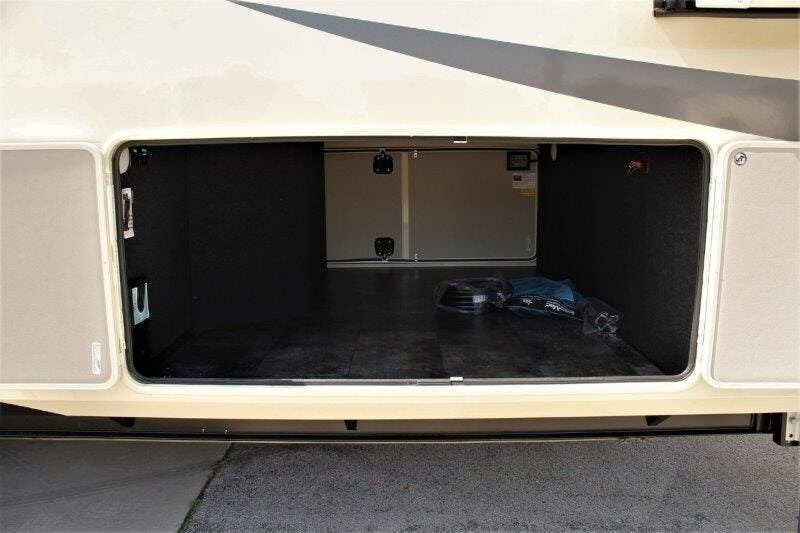 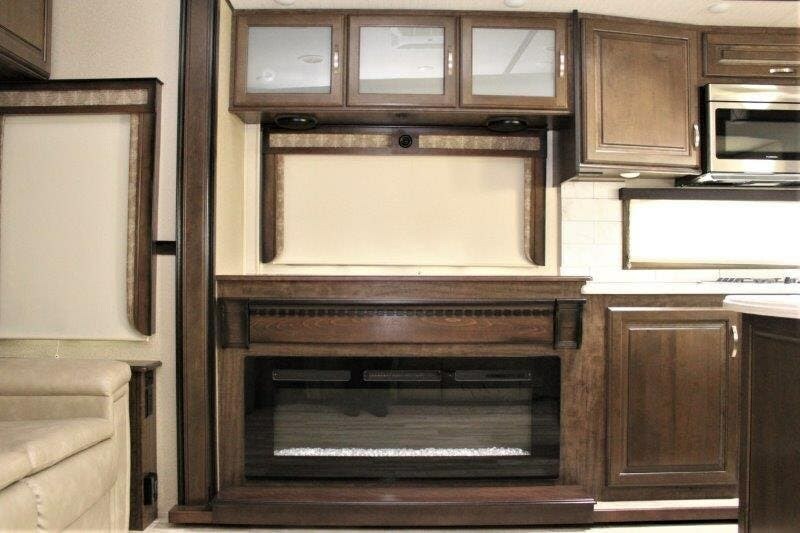 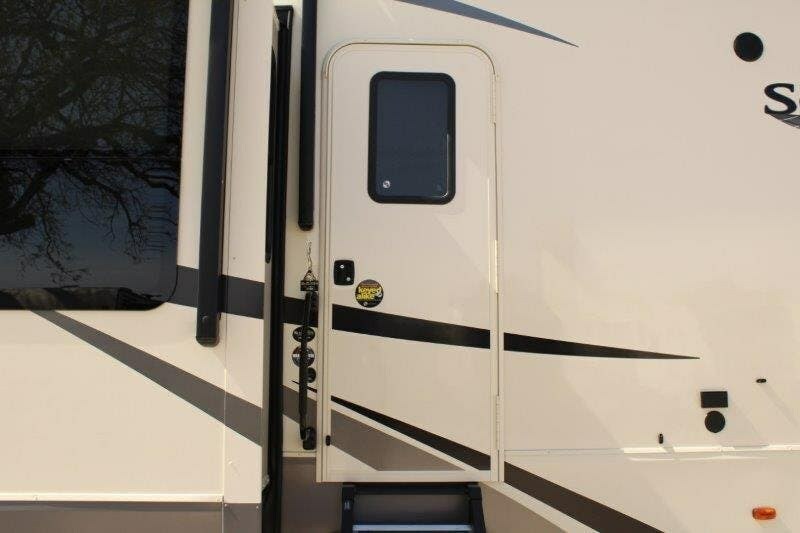 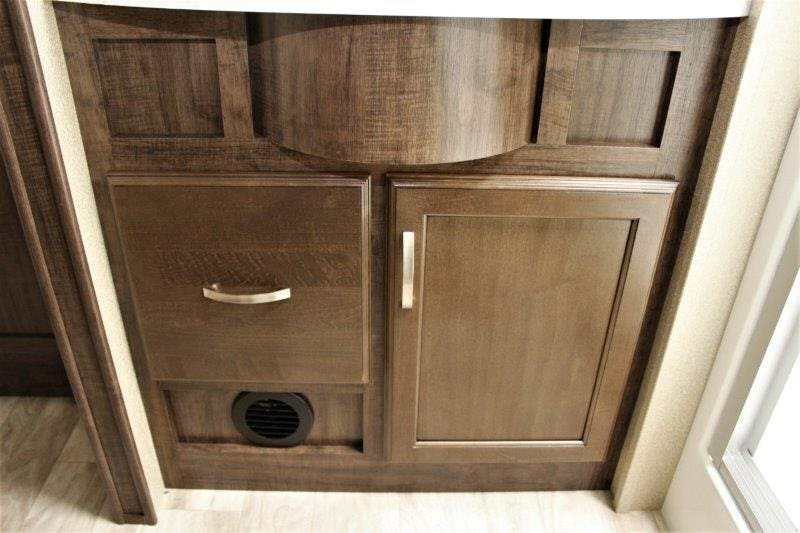 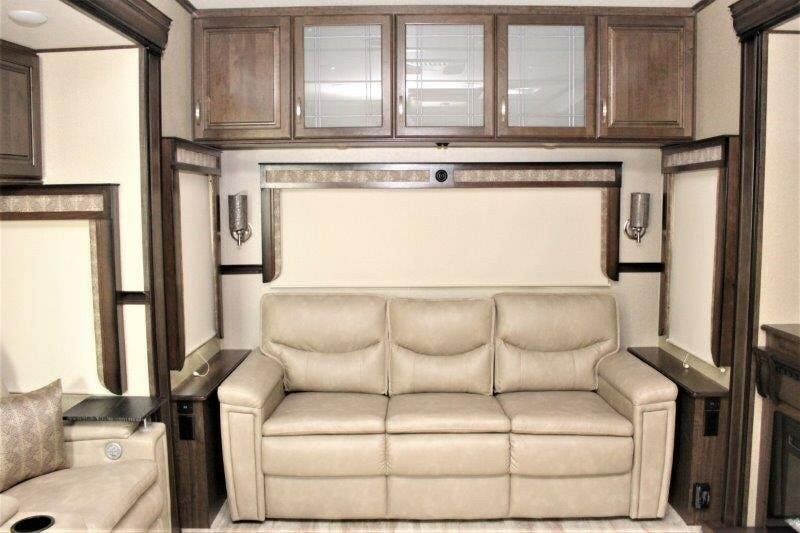 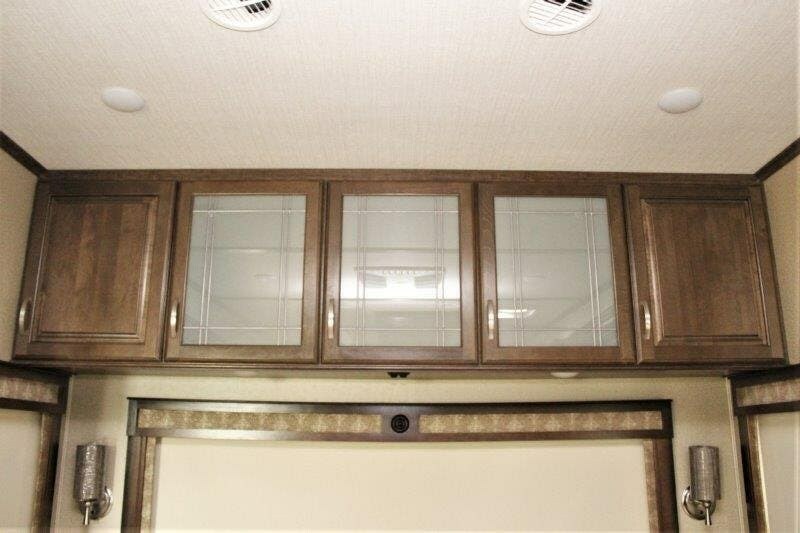 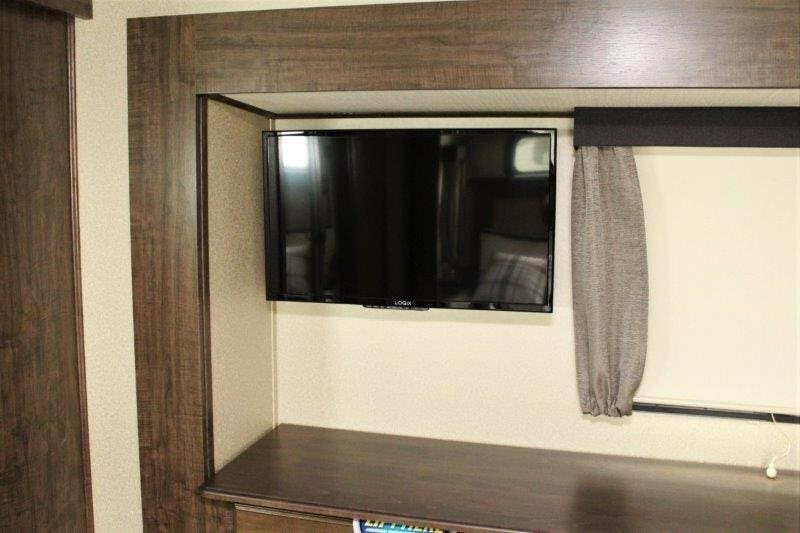 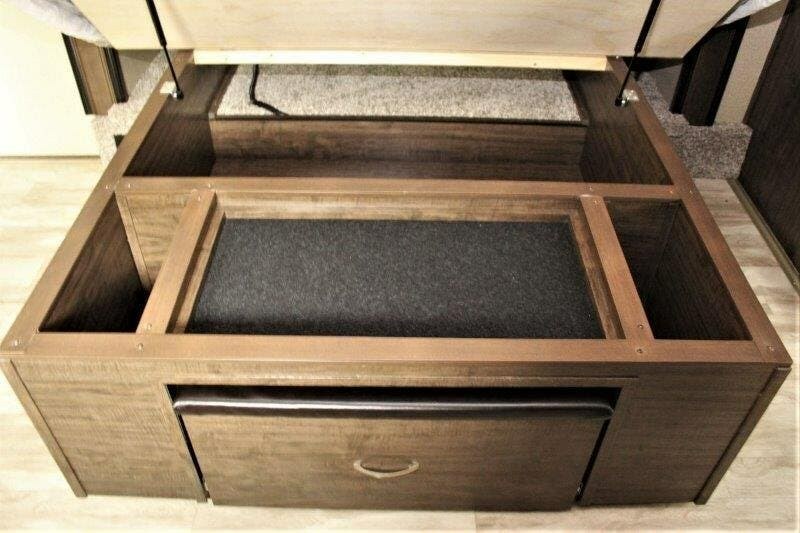 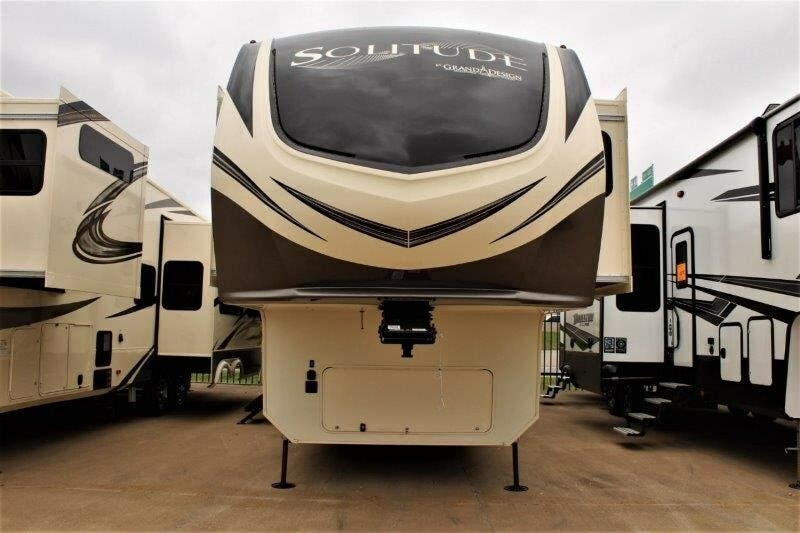 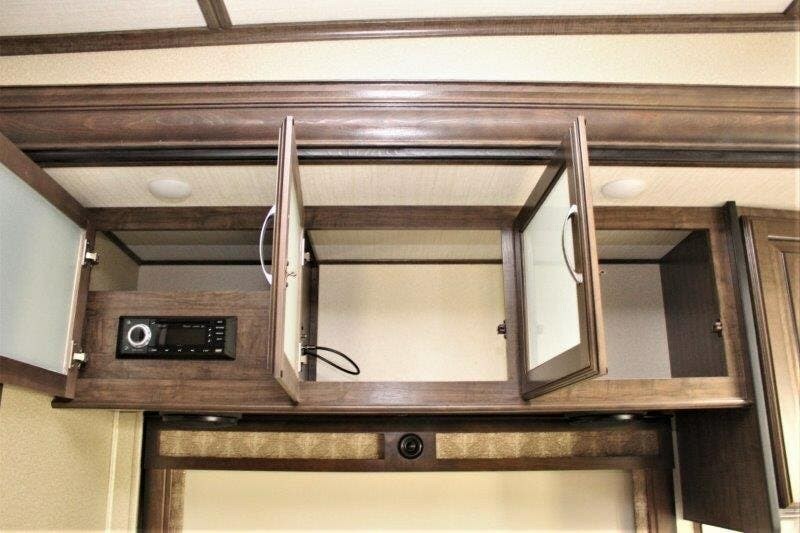 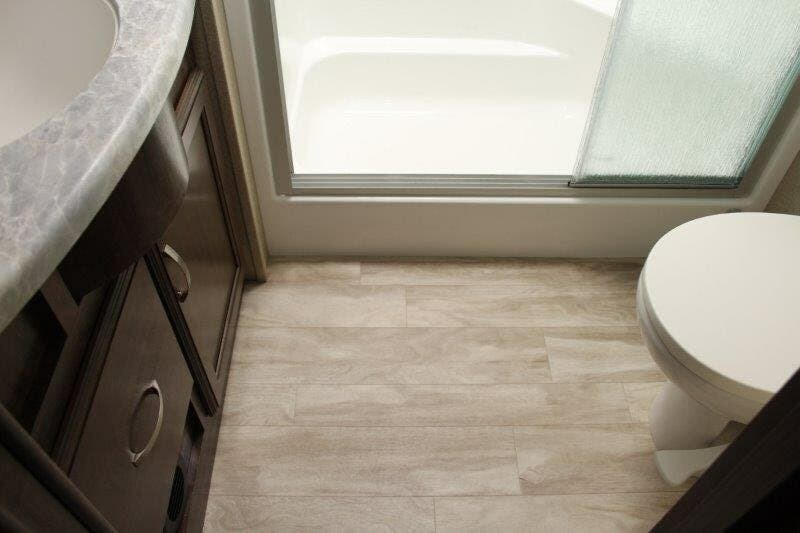 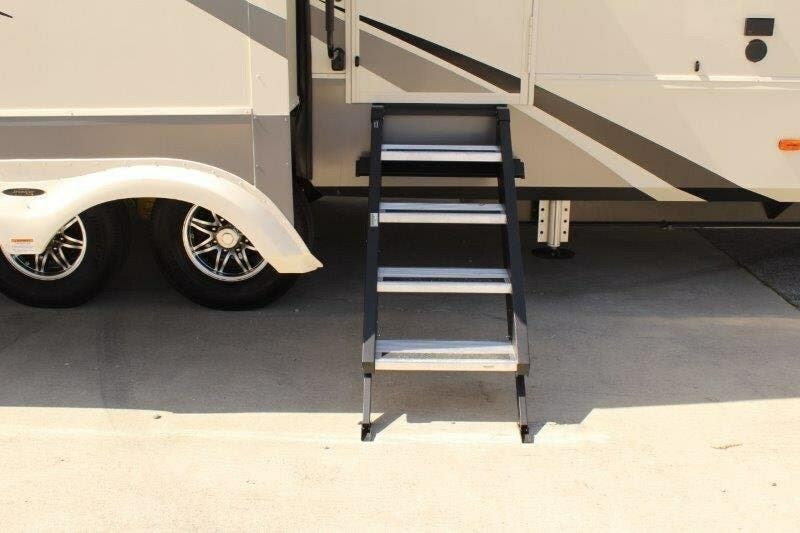 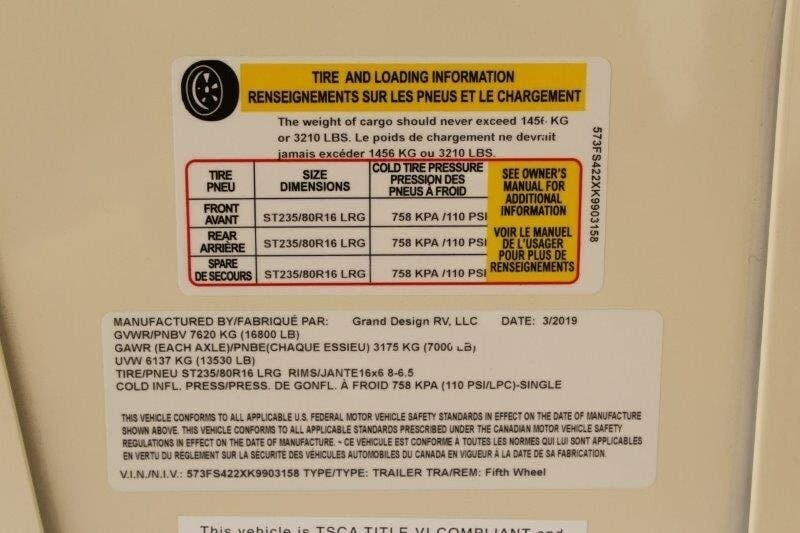 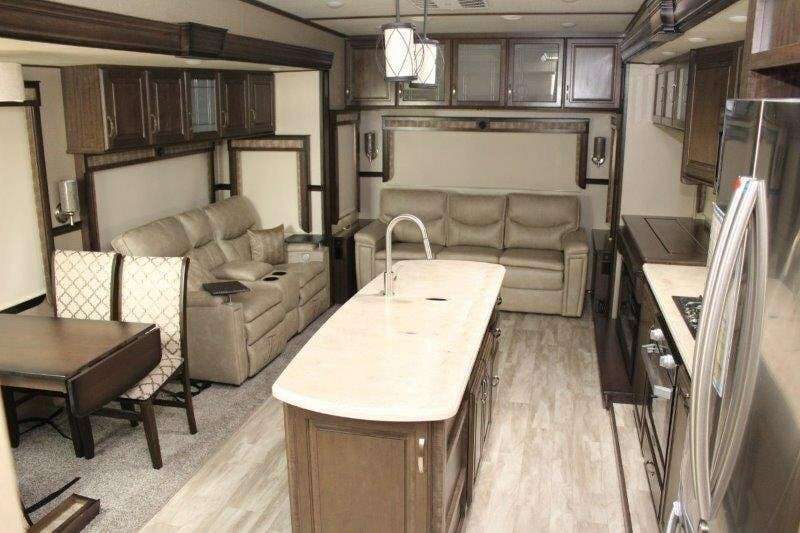 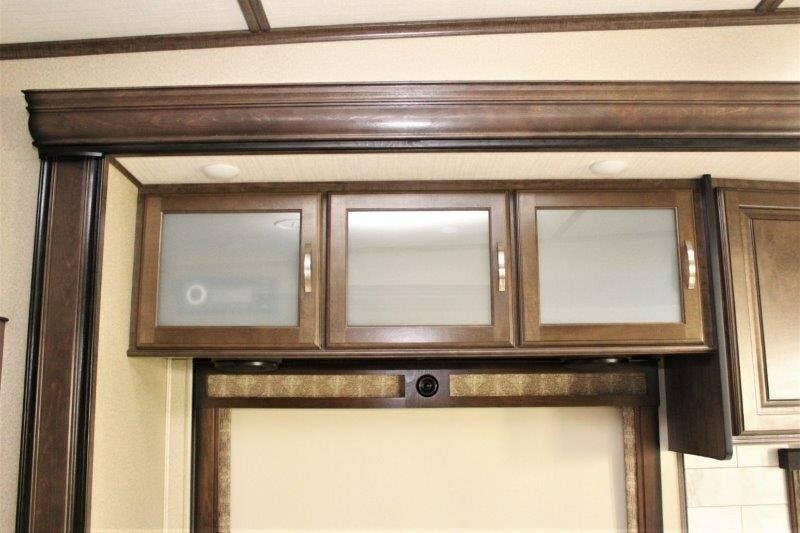 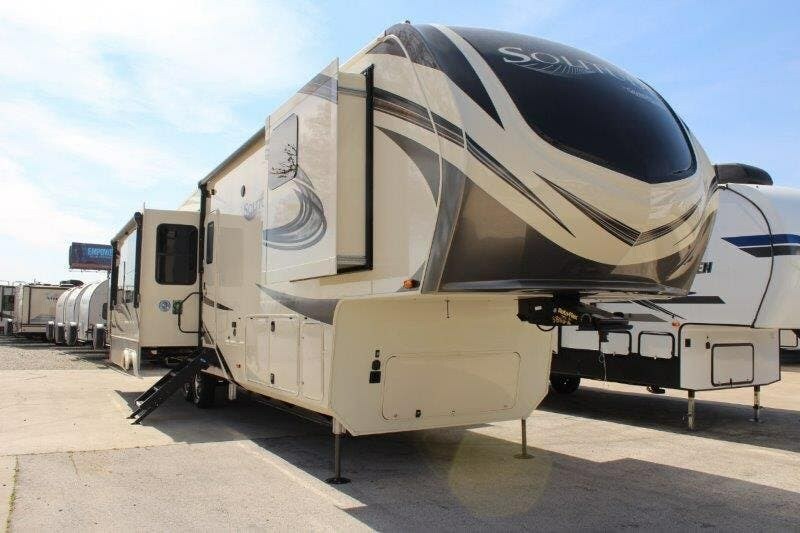 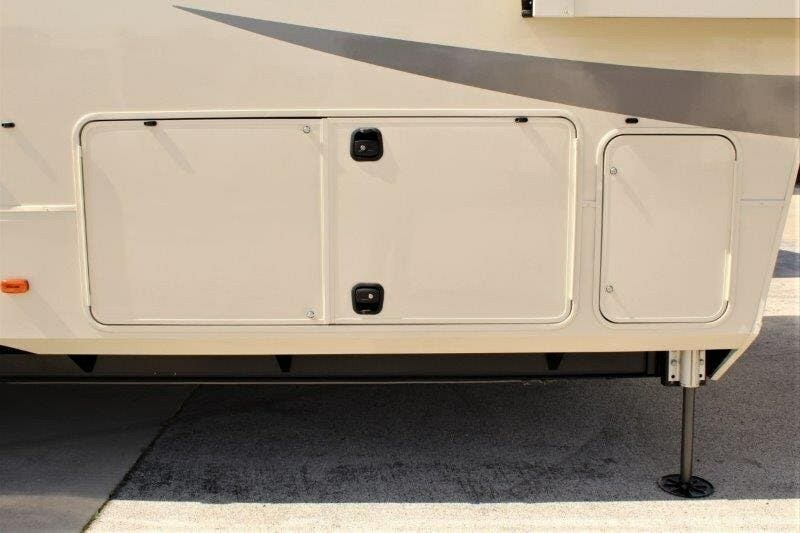 This fifth wheel offers you a rear living floorplan, four slides, and an optional pull-out kitchen!Step inside the entry door and you will see the rear living and kitchen area are combined but made spacious with dual opposing slides. 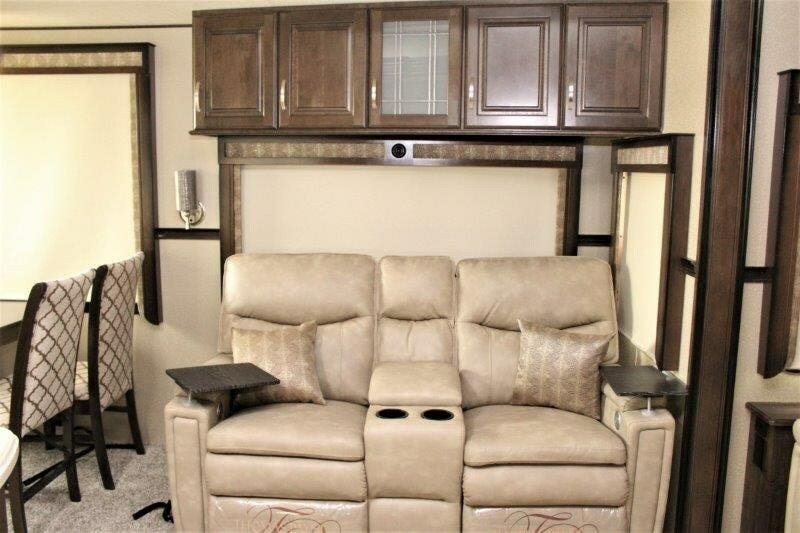 In the slide to the left of the door you will see the free standing dinette along with theater seating recliners and overhead storage. 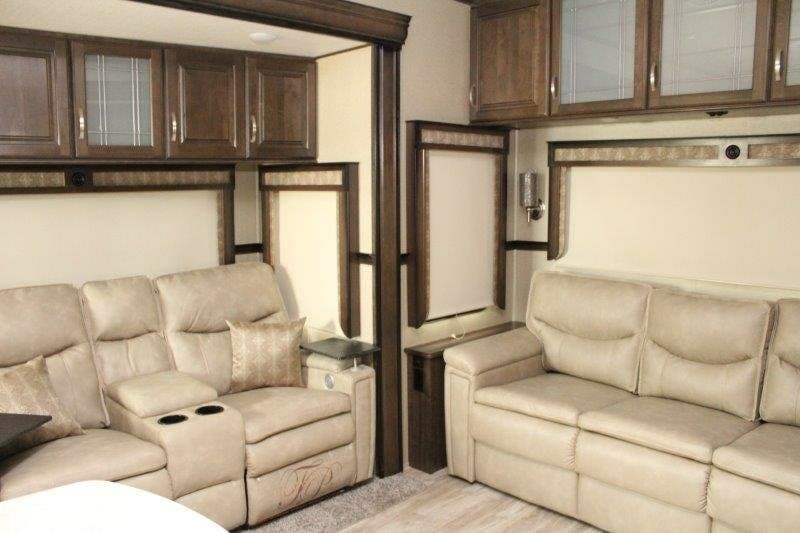 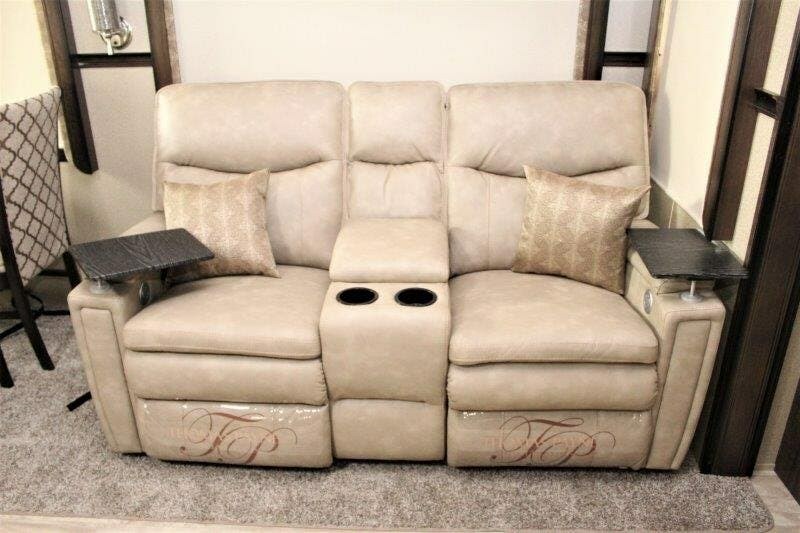 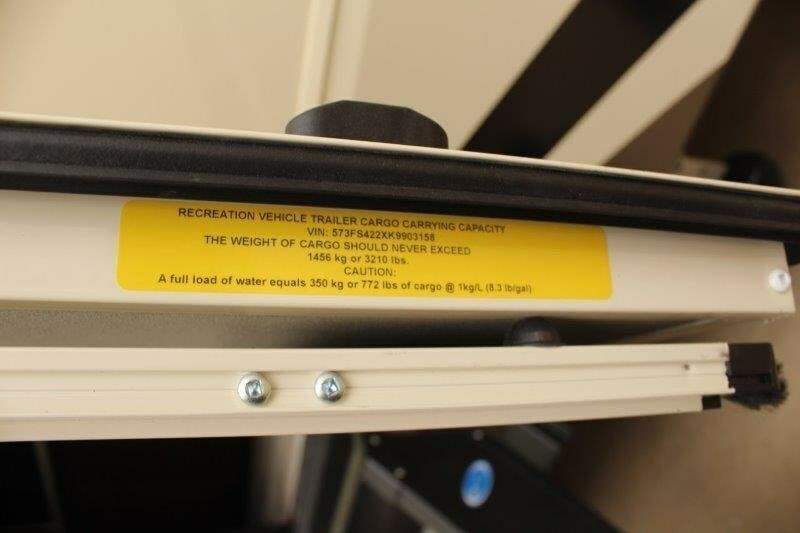 The rear wall has a Tri-Fold sofa with overhead storage as well. 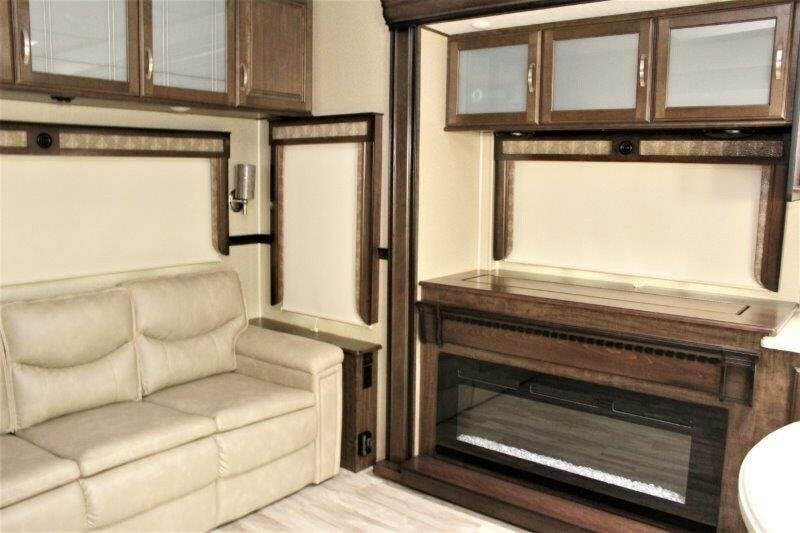 In the roadside slide out is the entertainment center with fireplace!The fully equipped kitchen helps fill out the roadside slide. 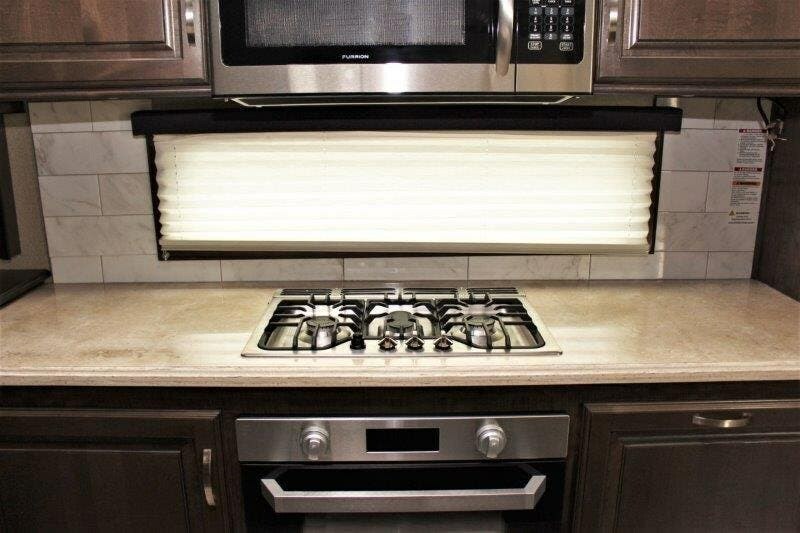 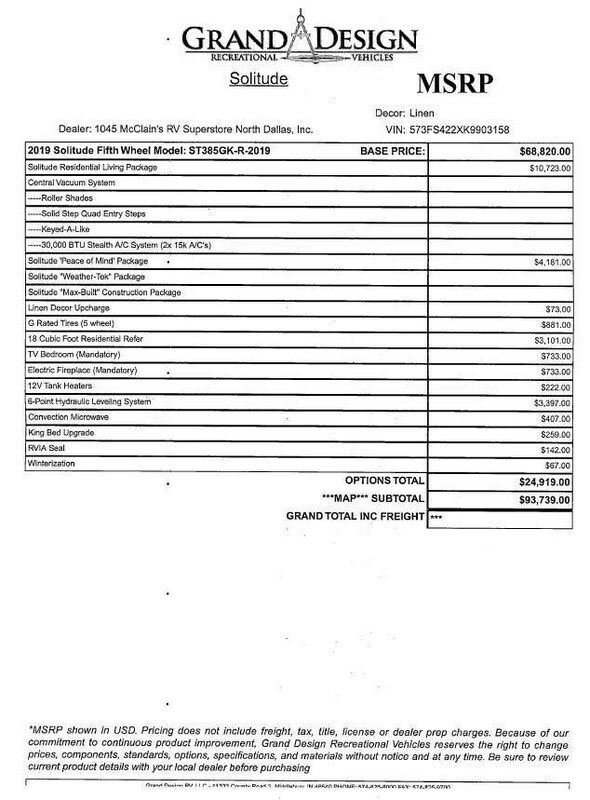 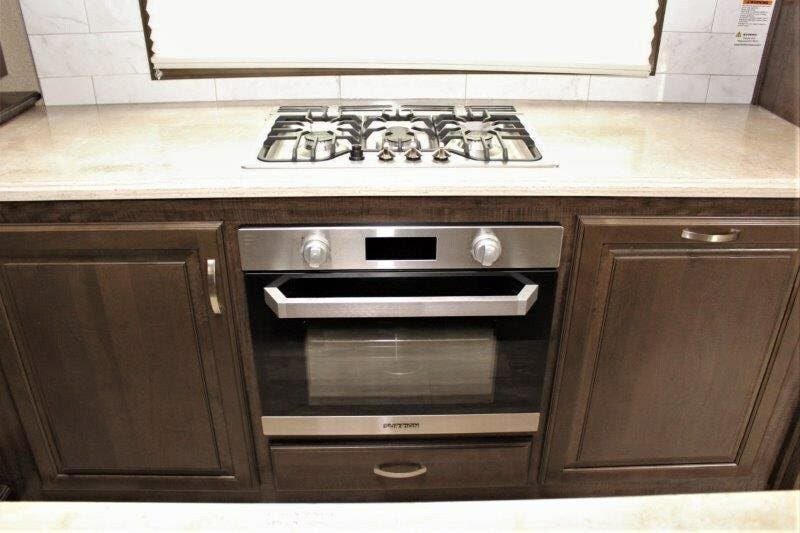 There is a three burner stove, oven, overhead microwave, residential refrigerator, pull out trash can cabinet, and island counter with double sink. 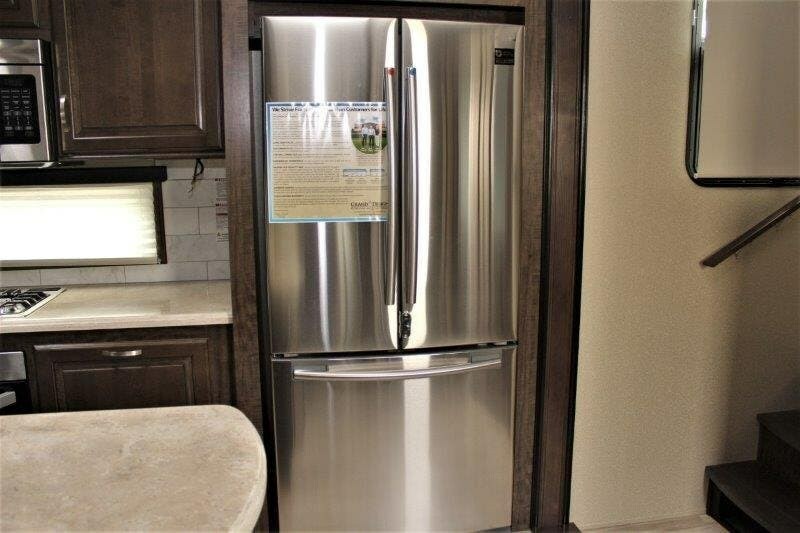 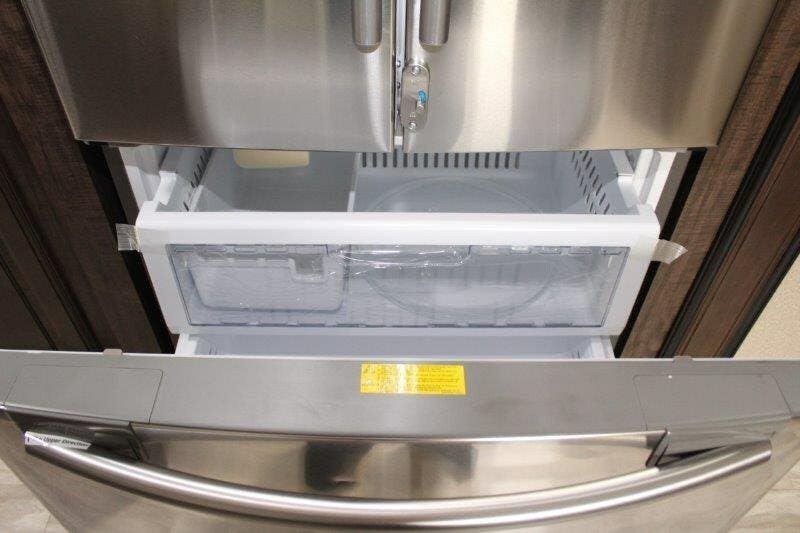 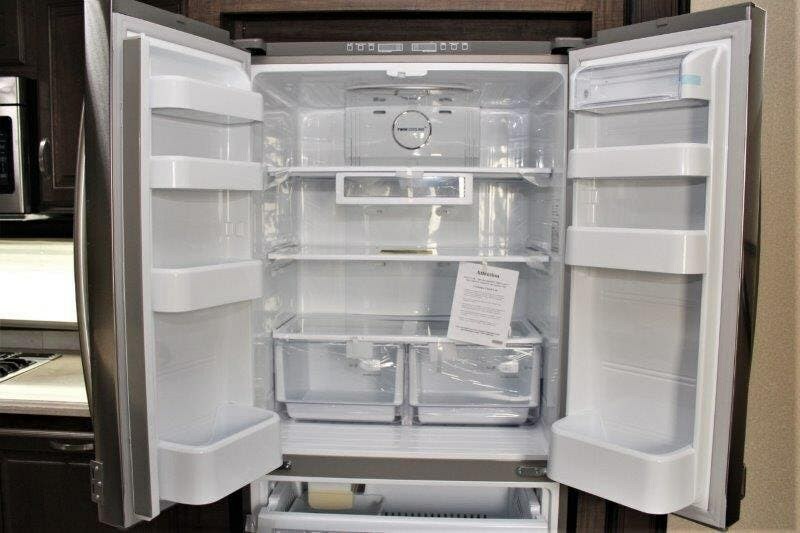 Not only do you have a residential refrigerator but the counter is also prepped for a dishwasher that is optional.Go up two stairs towards the front and you will see the bathroom. 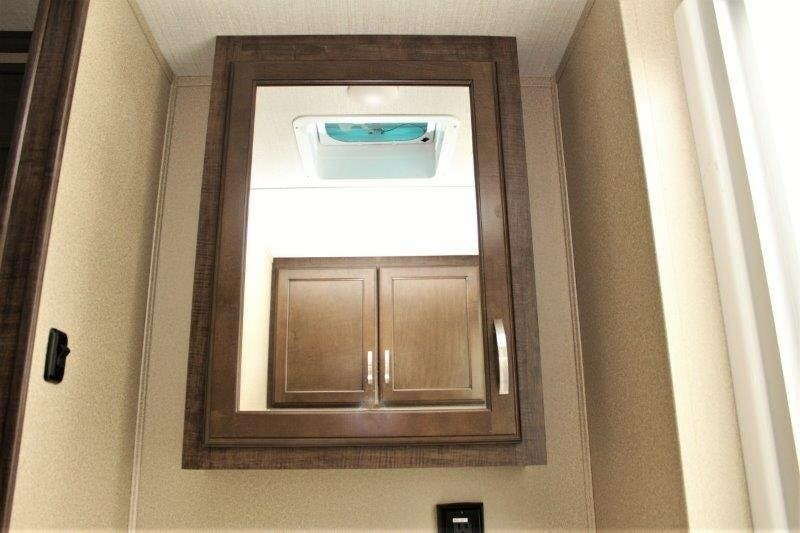 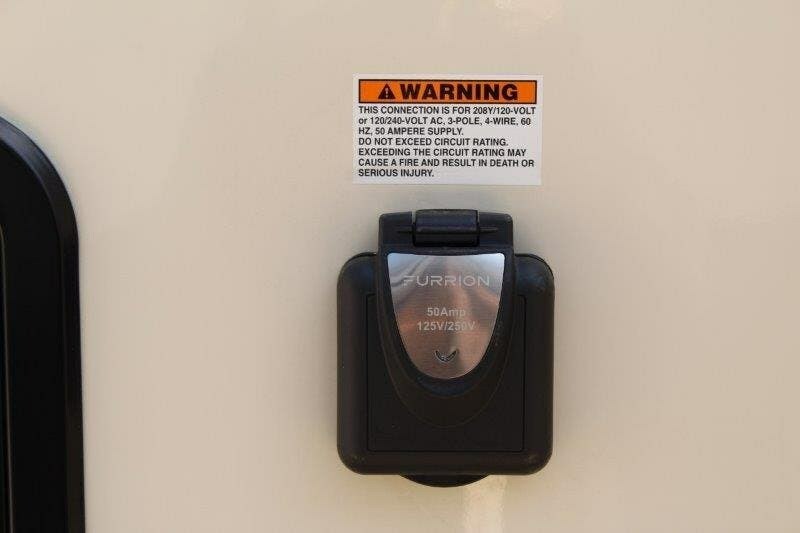 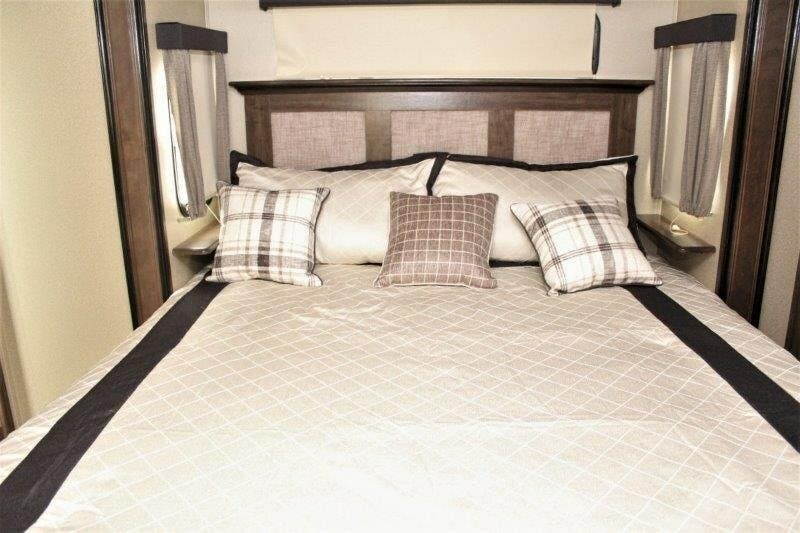 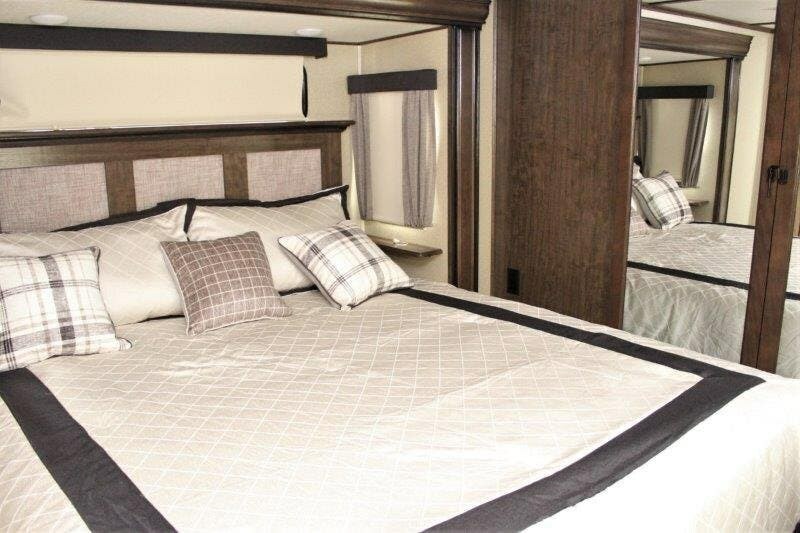 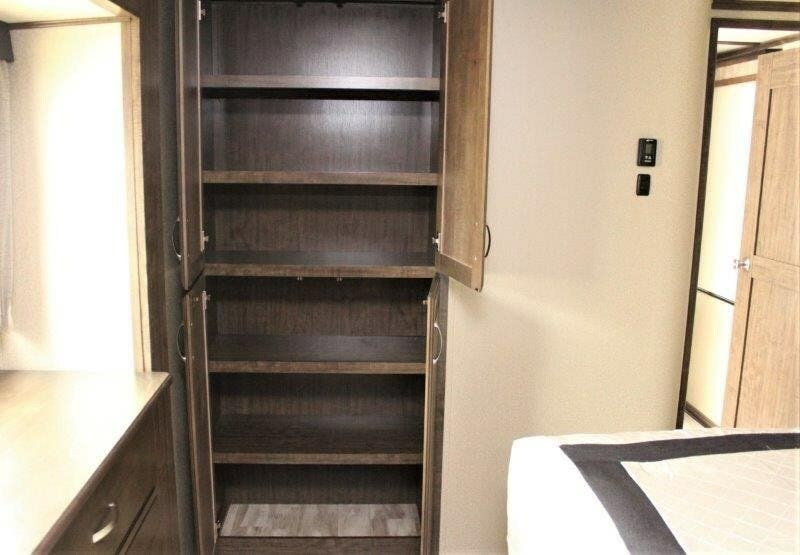 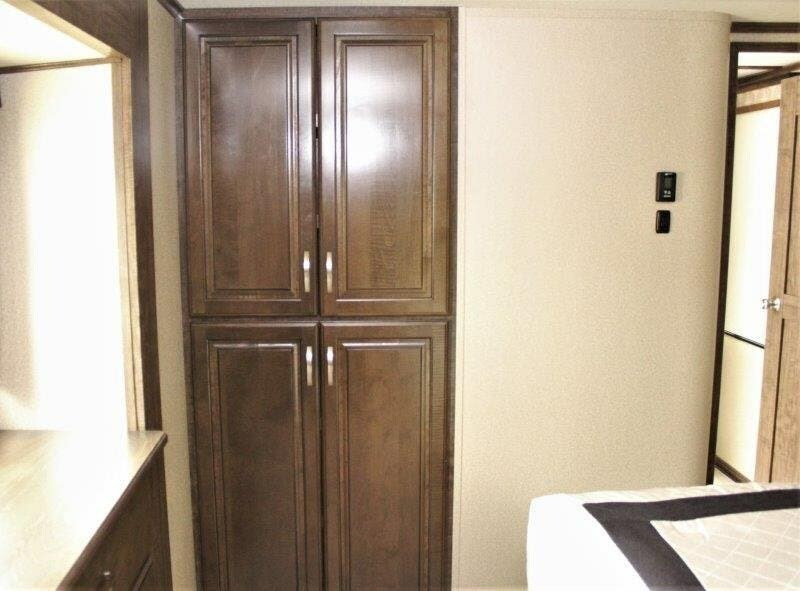 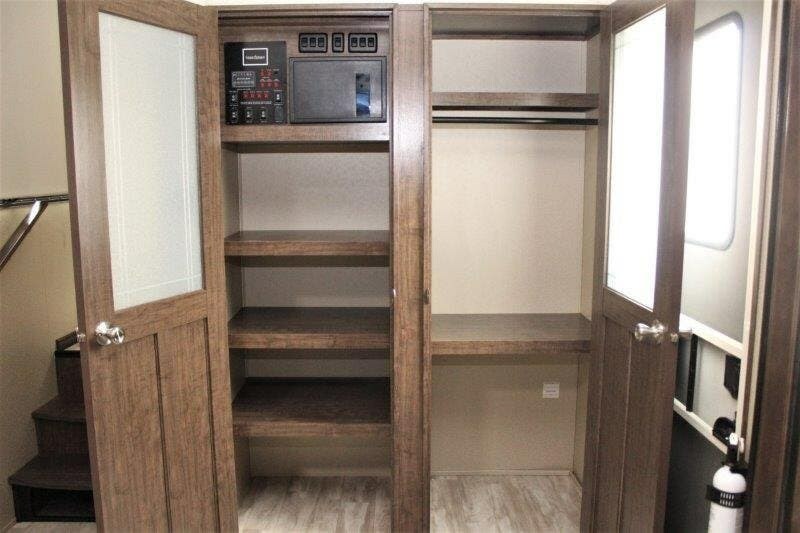 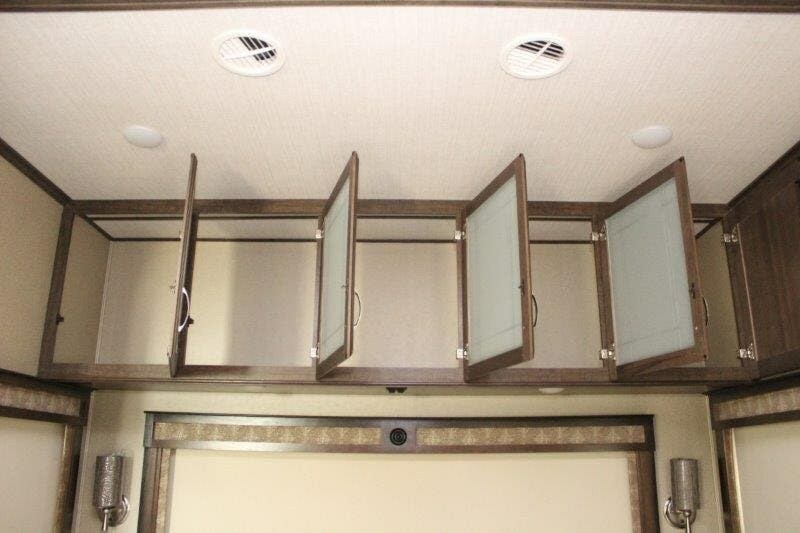 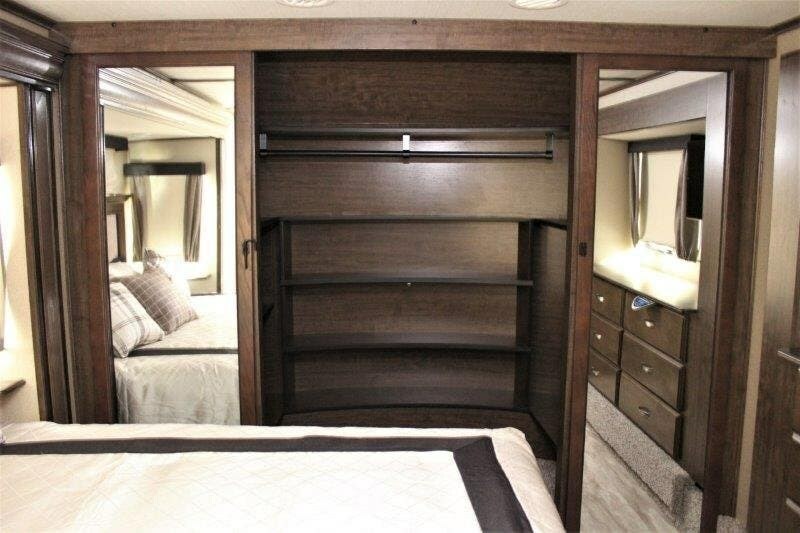 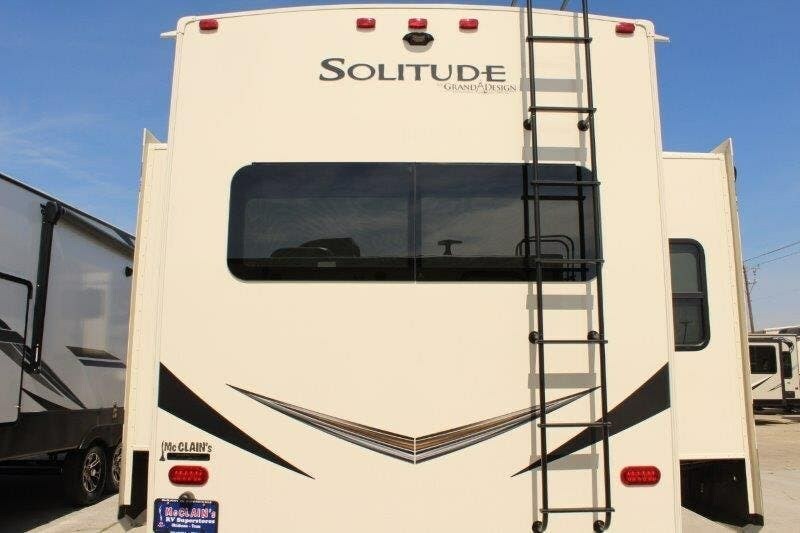 There is a toilet, medicine cabinet, sink, shower with skylight, and linen closet.The master bedroom is at the very front of this fifth wheel. 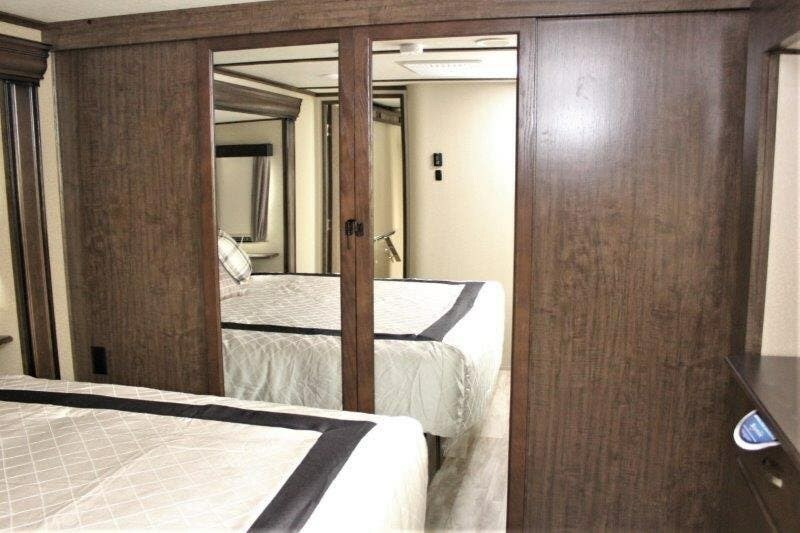 The bedroom has another set of opposing slides! 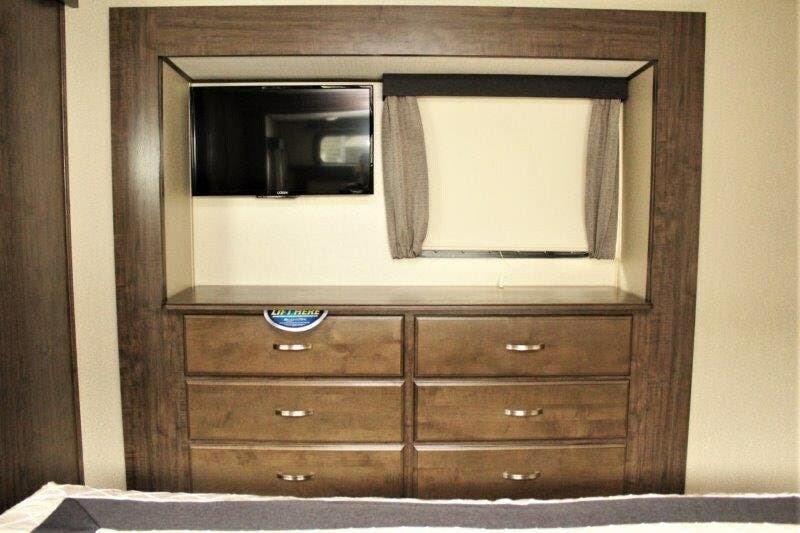 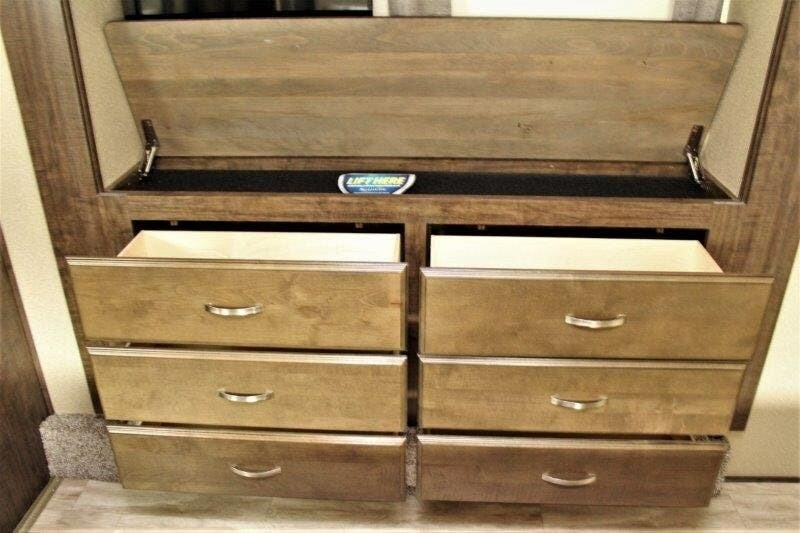 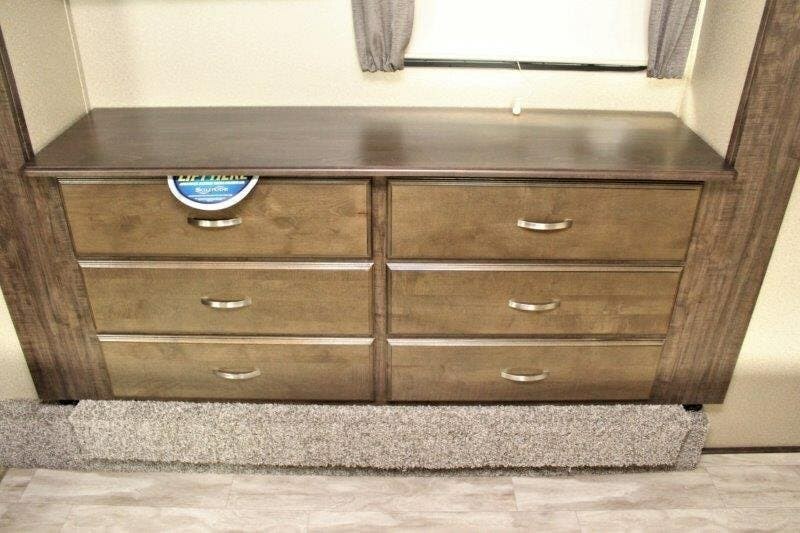 In the road side slide is the King bed while the opposing slide has the dresser with optional LED TV. 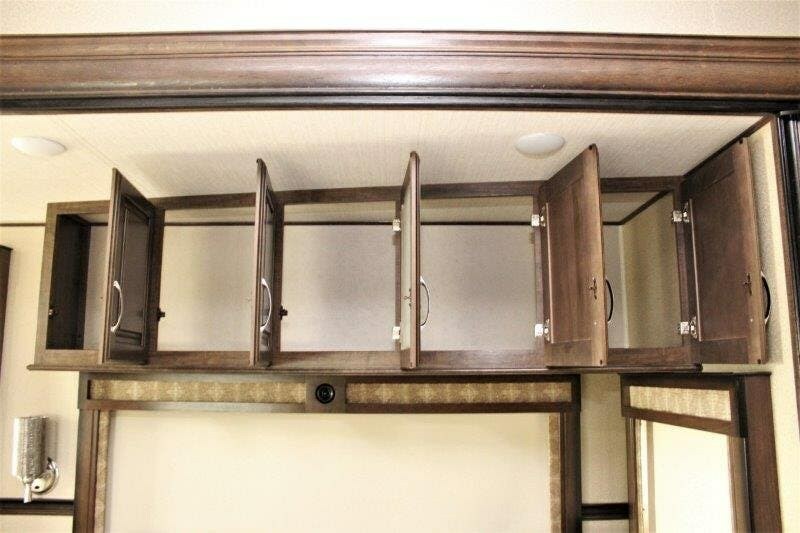 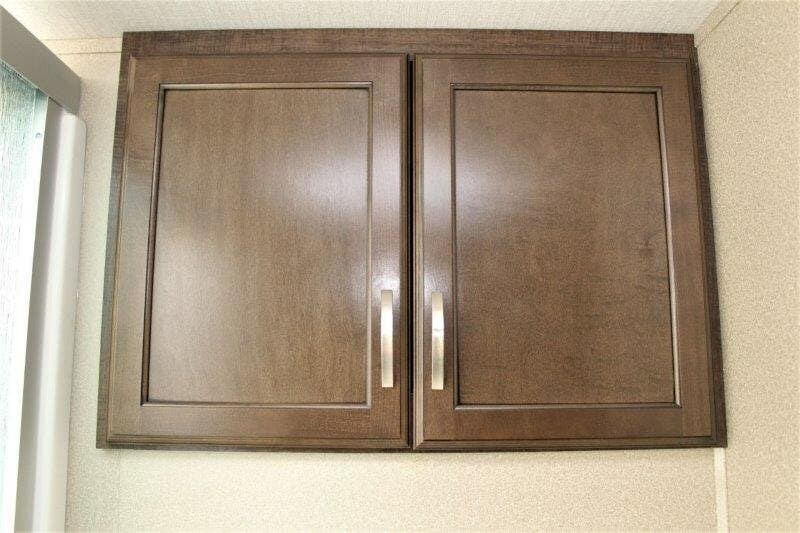 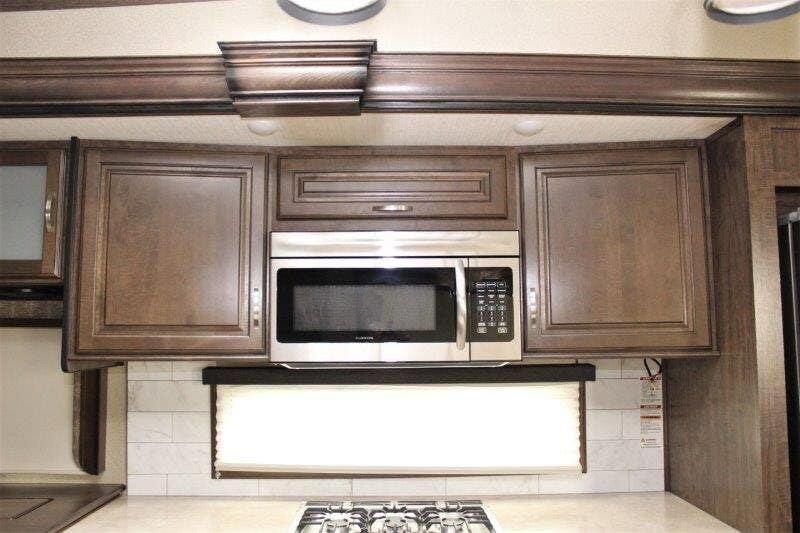 The closet is along the front wall.Step outside and the cook of the family will love cooking on the pull-out kitchen! 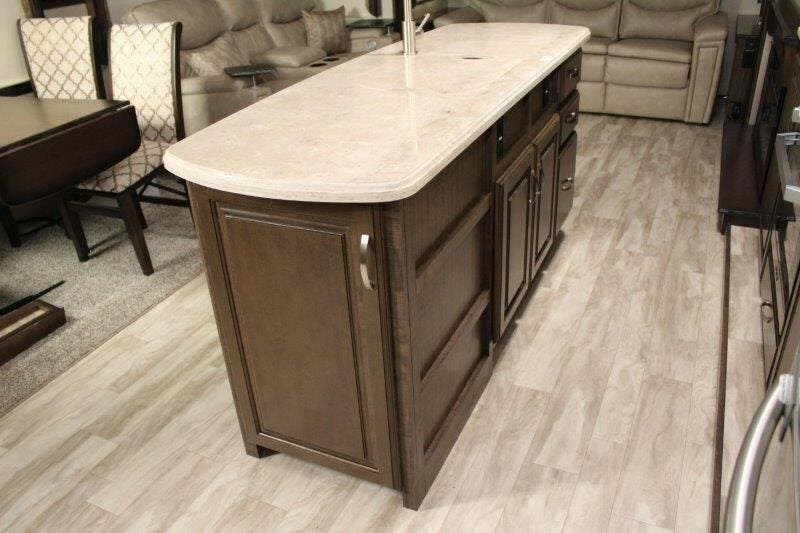 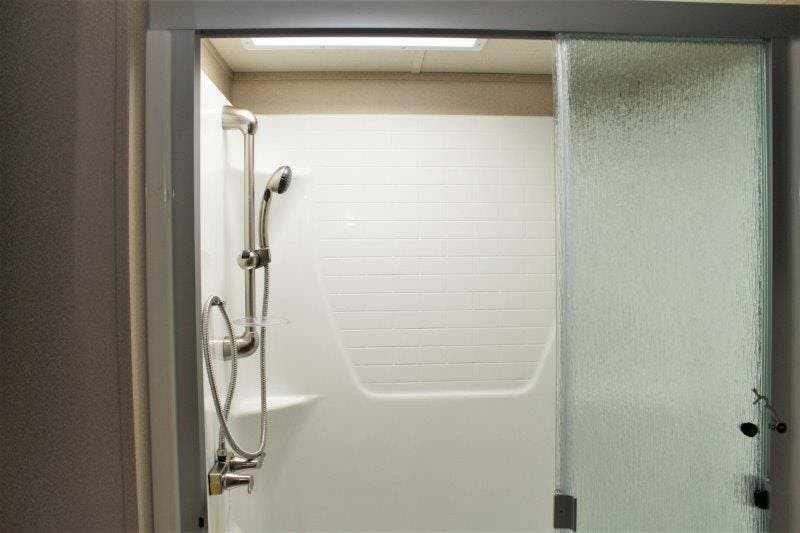 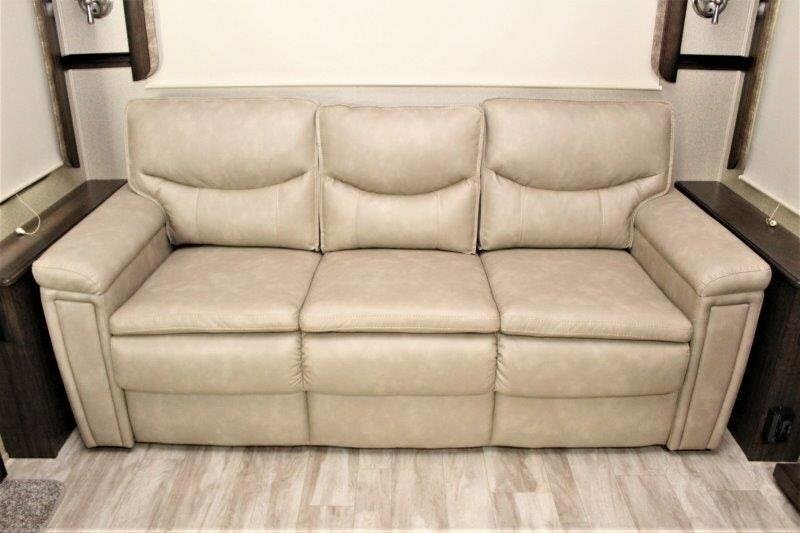 Check out Stock # 90488 - 2019 Grand Design Solitude on granddesignsource.com!